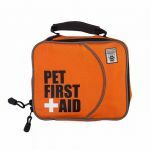 The Pocket Pet First Aid Kit from Canine Friendly is a pocket version of the Canine Friendly Pet First Aid Kit. The bright orange fabric makes the First Aid Kit highly visible and the caribiner makes it super easy to attach to a leash, belt loop, or backpack. 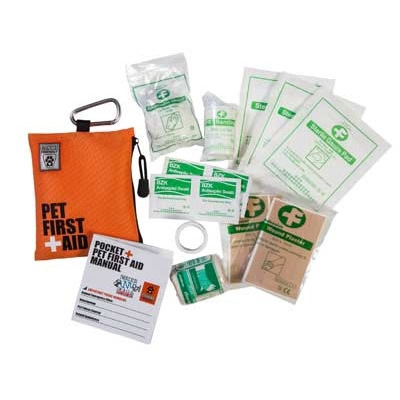 Included with the kit is a First Aid pamphlet that offers easy to follow instructions on common injuries. The Pocket First Aid Kit is very compact measuring 11cm x 14cm and lightweight at only 92 grams. 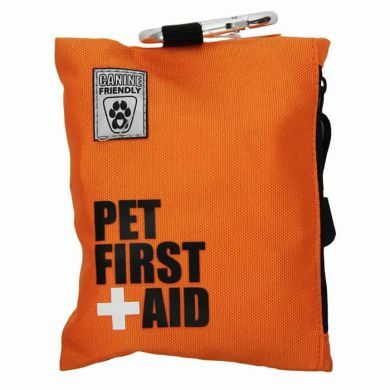 Read 1 customer review of Canine Friendly Pocket Pet First Aid Kit. The average customer rating is 5. This is such a handy compact product to have with My Malchi Zoe and I wherever we go. 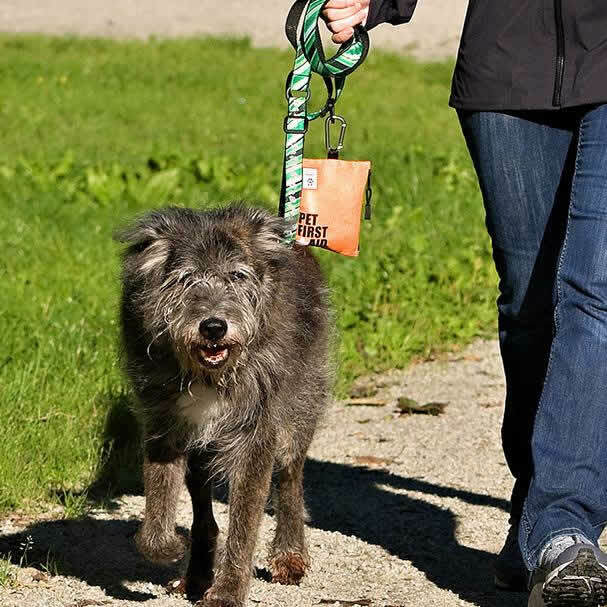 I can clip it on her lead or put it in the glovebox when we go for a drive. The bag the supplies come in is strong and keeps the items safe and clean. It's also nice to know that you have first aid items on hand that are friendly for dogs. While I was away camping Zoe got a thorn in her foot , with the first aid kit I was able to clean it up straight away , reducing risk of infection.